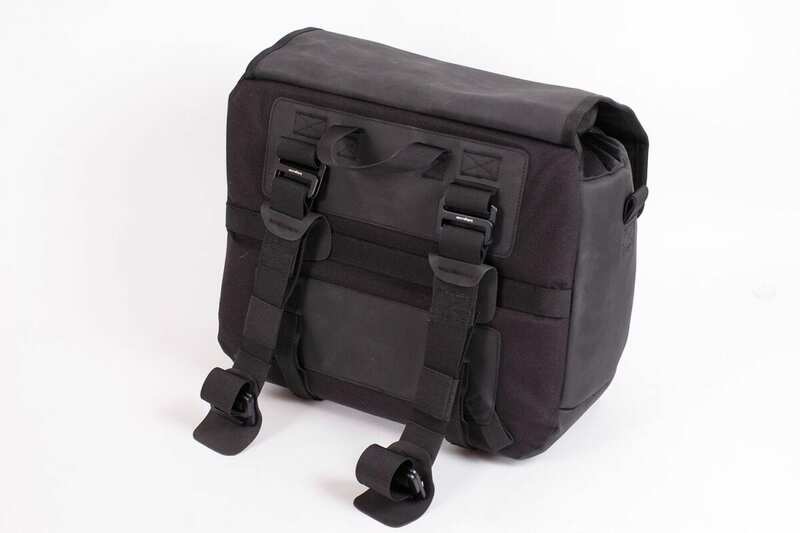 Originally, Cada Día was to have a tank bag too, using a US10 drypack, but in the end I didn’t need that much space. The simple design of the new saddle bags hides a secure, quick-release fitment and total waterproofing. Inside, all of Kriega’s drypacks are white, making it easier to find your kit. 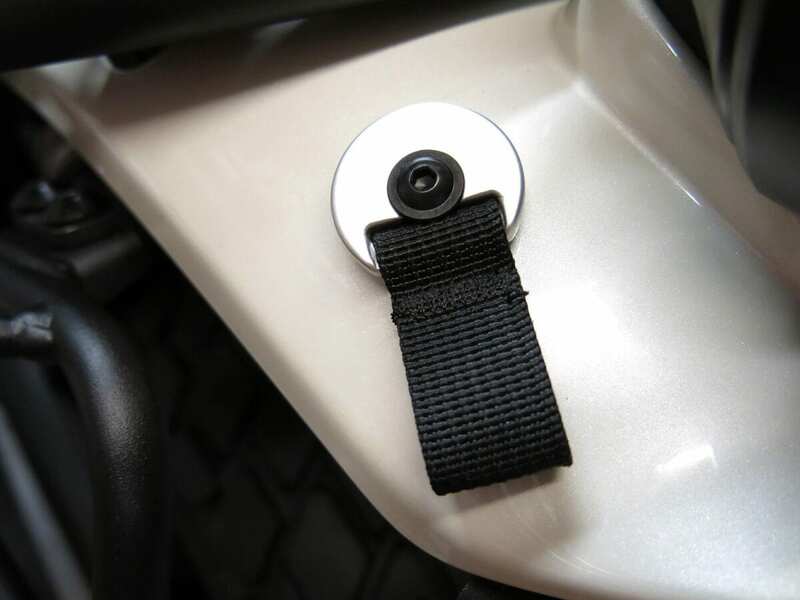 Cam buckles allow quick tightening of the straps. 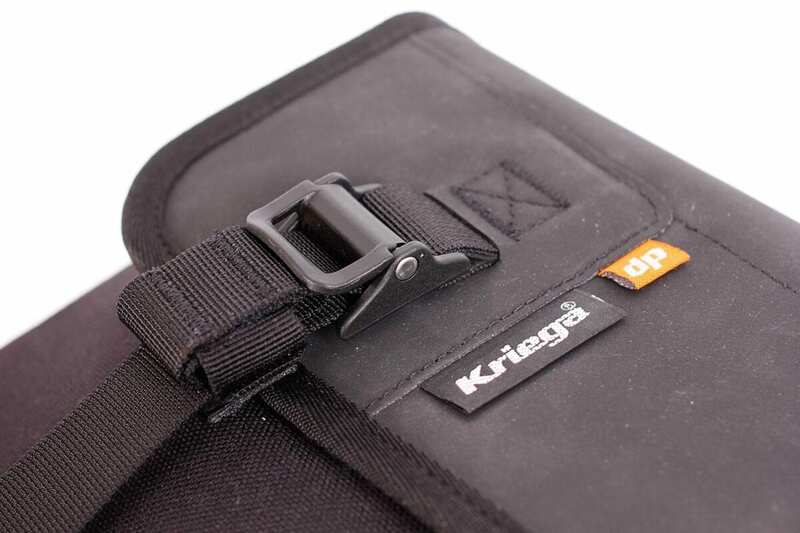 Kriega was formed in 2000 by two product designers – both of whom had worked at Karrimor – with the vision of designing and manufacturing motorcycle-specific backpacks of the same quality as the highest-end outdoor gear. First called Krug (after the villain in 1974’s Last House on the Left), the name was changed to Kriega after just one year thanks to an infringement letter from the champagne company. 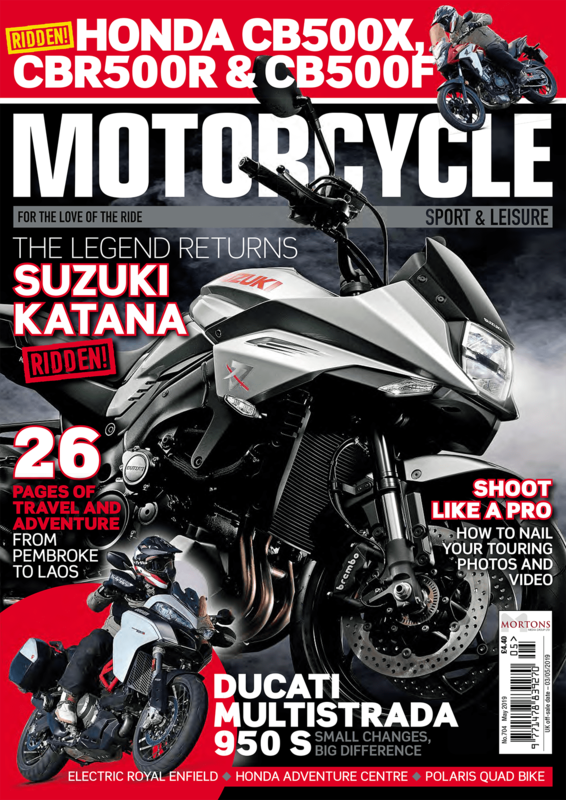 Most journalists will tell you of the tens of thousands of miles they’ve put on Kriega kit, and even older, used packs fetch good money on eBay (the 10 year guarantee is rarely called upon). “We wanted to develop a brand that was known for its functional-driven design,” says Dom, “without the seasonal changes demanded by fashion, and not subject to the price restrictions larger retail chains force on suppliers. The first pack made was the R35, which used a new harness concept that addressed the problems of weight on the shoulders and tightness under the arms. 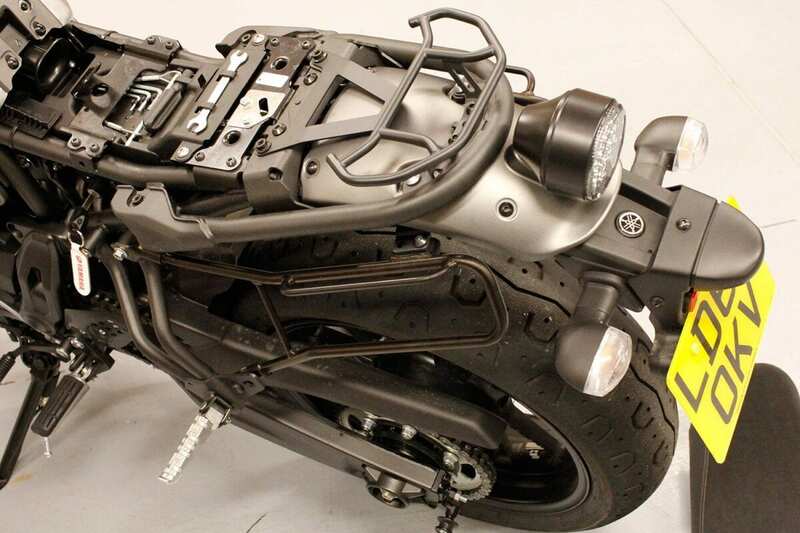 It also did away with the big hip belt, which would foul on the bike’s tank. A traditional backpack is difficult to get on when wearing bike kit, but all of these problems were solved with the parachute-style Quadloc harness now seen across the company’s range of backpacks. The R35 is still part of the range, with just a few tweaks in 2014. “We do not change designs if they are working,” Dom tells us, “even though the general rule is that a product has a maximum life of three years before it needs a fundamental design update in order to gain new sales. We just tweak as necessary. It’s true. It’s easy to get hooked on Kriega kit, which might sound strange when talking about luggage, but I’ve bought an R15 Backpack, two Kube organiser bags, a Kube laptop bag, a Harness Pocket (great for passport and wallet on the Biarritz trip) and a US5 Drypack. I also have on review an R30 Backpack that I’ve loaded with over 10kg, and worn to Belgium and back as well as this 1280mile trip. 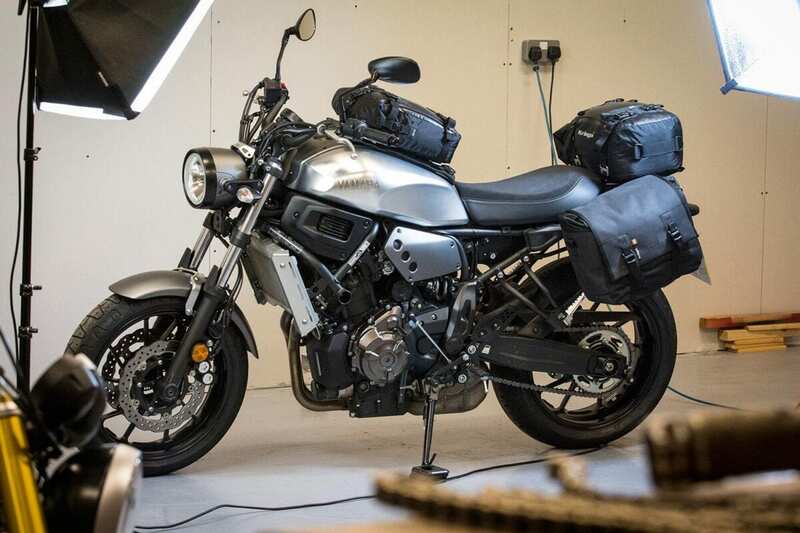 The US20 Drypack that I’ve strapped to the back of the XSR is a proven design that keeps your gear 100% waterproof. Fabric loops attach to the bike, with the bag pulled down securely using aluminium buckles. 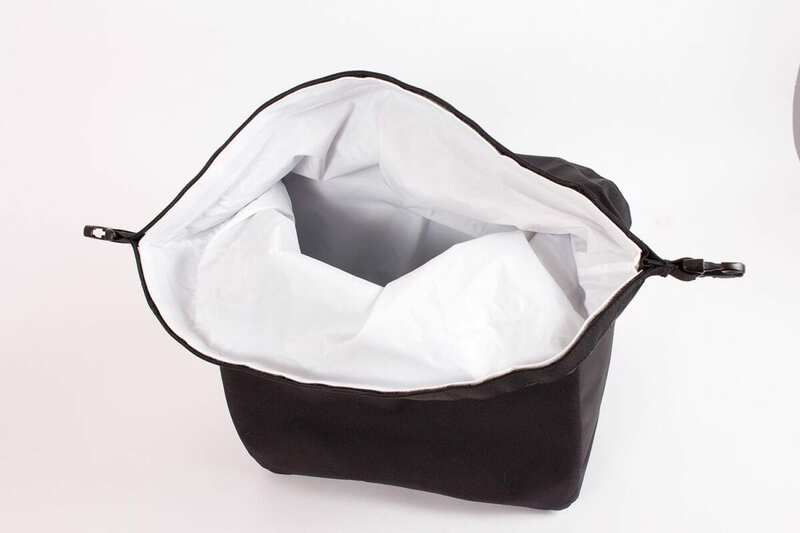 It’s touches like the removable inner bag being white that show the level of thought – I’ve used many drybags that have a black liner, making it very difficult to find your gear. A water-resistant zipped pocket on the top allows quick access to smaller items, while the anti-slip mesh base doubles as a pocket for the supplied shoulder and waist straps. Two bolts at the rear of the XSR’s tail proved an ideal point to create fixings – using the small straps on the frame rails combined with these two loops, which are set off from the plastic and allowed to rotate through a simple nylon spacer I machined and a M5 flanged bolt, I used parts from Kriega’s Rack Loops, which are designed to be fitted to dirt-bike rear fenders. Dom assures me that customers need only give them a call if they want specific parts from a set, for instance a pair of loops rather than the four they’re sold in. At the time of writing, the saddle bags are about to reach production. I have the Solo 18 pack with an 18 litre capacity, through a solo 14 is also due to arrive, as well as pairs – the Duo 28 and Duo 36. 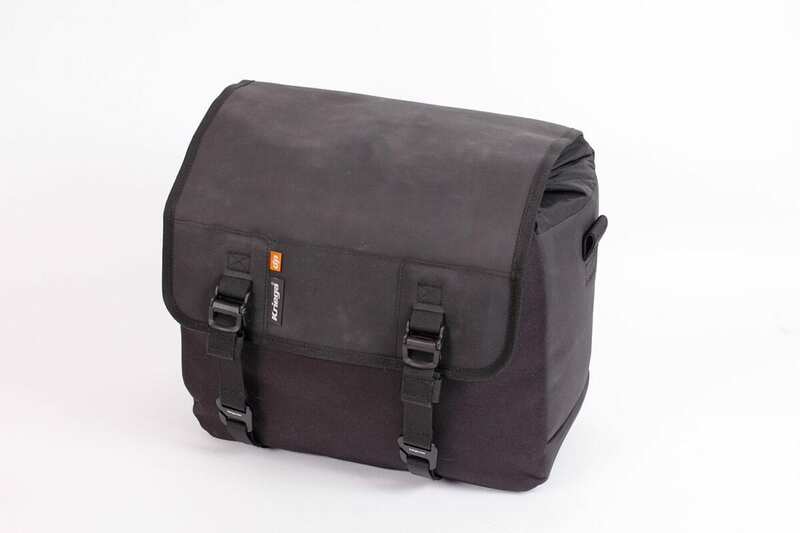 Designed to work with almost any bike, the bags are intended to be very quick and easy to remove, yet secure and totally waterproof when fitted. Fitting on Cada Día sees the straps passing under the seat, as I wanted this to be a more permanent addition, but it happily carried my jerry can, chain, Xena alarmed disclock, waterproofs, spare gloves and some extra clothes. In the end, the luggage didn’t lead the design of this custom bike, but it fitted the styling of Cada Día perfectly, and lugged everything I needed with ease. 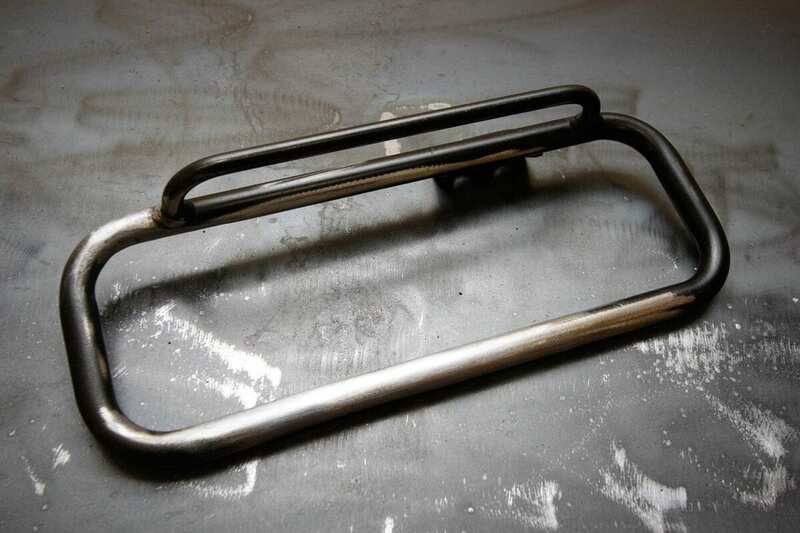 The standard XSR luggage rack seems over-fussy, so I cut and welded them to form one, much neater version.